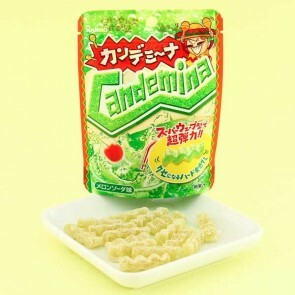 Taste these exciting wavy and tangly sour candies are made by Japanese candy manufacturer Kanro. They are shaped like music waves from the maracas. 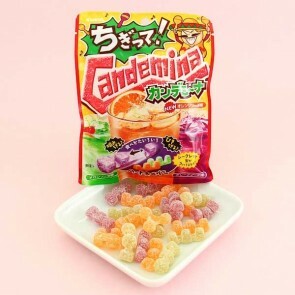 These special and gummy candies have a sweet gummy heart but first, you need to get through the sour powder coating!